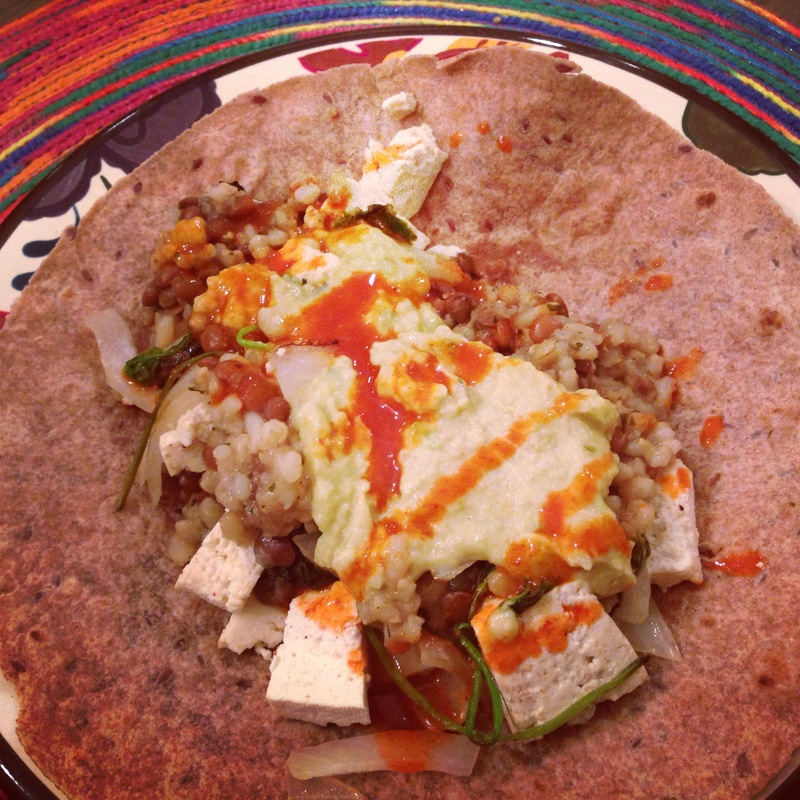 A burrito I made filled with brown rice, lentils, tofu, spicy avocado hummus, and hot sauce. Delicious but my stomach was less appreciative. Lately I’ve been cooking and creating so many new dishes and even though I’m having a ton of fun in the kitchen, my stomach is starting to complain (I tend to use a lot of spices while cooking and I eat a lot of difficult-to-digest beans and grains). I also find that trying to constantly come up with new meals can take a toll, especially when my main focus should be on school (I’m currently pursuing two degrees, both in nutrition!). So, I’ve decided to simplify my diet and eat pretty basic, nutrient-packed meals for the time being. Besides my stomach pains and limited time and energy due to my classes, another reason why I’ve decided to get back to basics when it comes to eating is an inner feeling that my body just craves real simple food right now, instead of the complicated yet tasty meals I’ve been making. As I’ve mentioned many times throughout my blog, I’m a big fan of (trying) to listen to one’s body. Not only am I an advocate of intuitive eating, I’m also on my own journey to eat more intuitively and be less dependent on external factors (like counting calories and eating at certain pre-determined times during the day). Luckily, the food stores I shop at have a great variety of fresh produce. 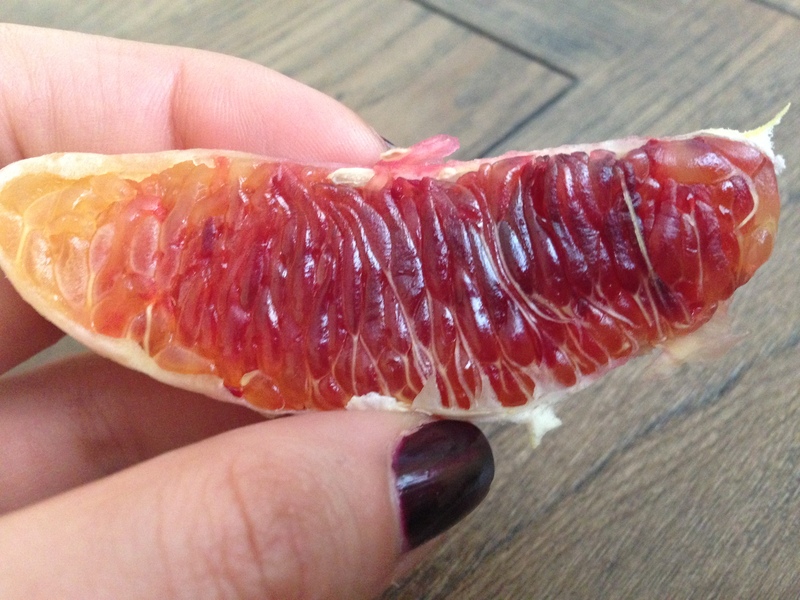 Here’s a blood orange, up-close and personal. 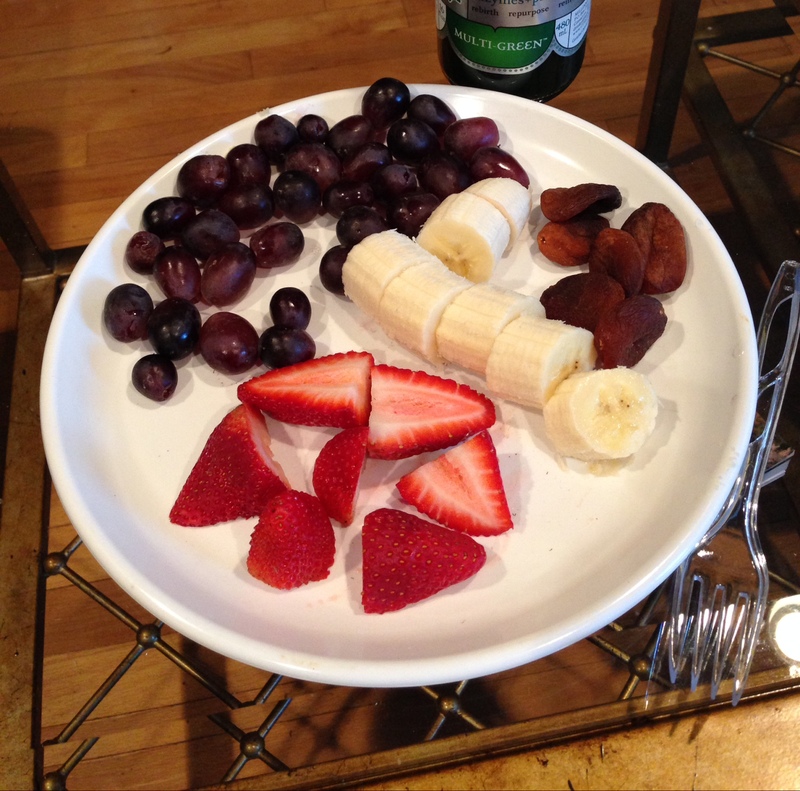 This was a meal (I ate this for lunch) composed of dark purple grapes, a banana, strawberries, and turkish apricots. I craved fruit, I ate fruit, and got my fair share of vitamins, minerals, and phytonutrients! Salads are never boring with the right dressing. 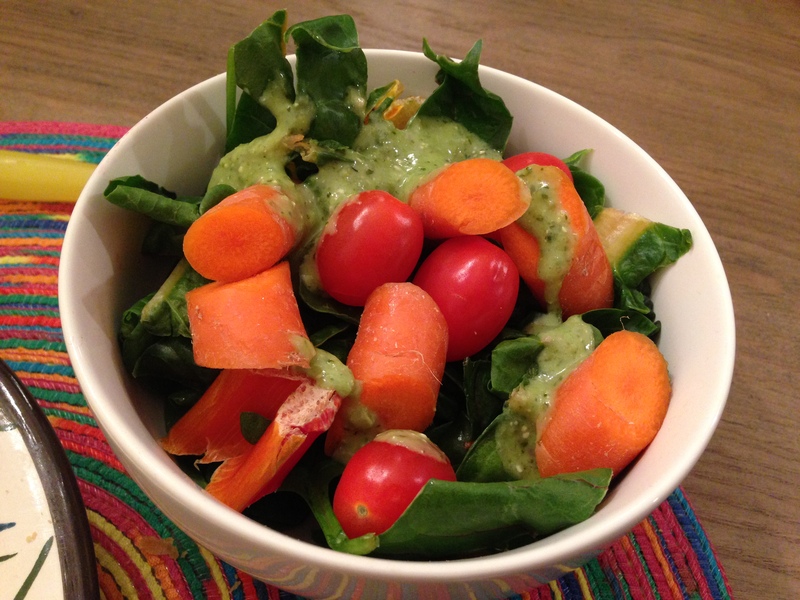 Here, I used cilantro dressing. Yum! How do you know when it’s time to make a change in your diet? Is your weight the first thing you check, or are you more aware of your energy levels, digestion, and overall wellbeing? Feel free to share your input!